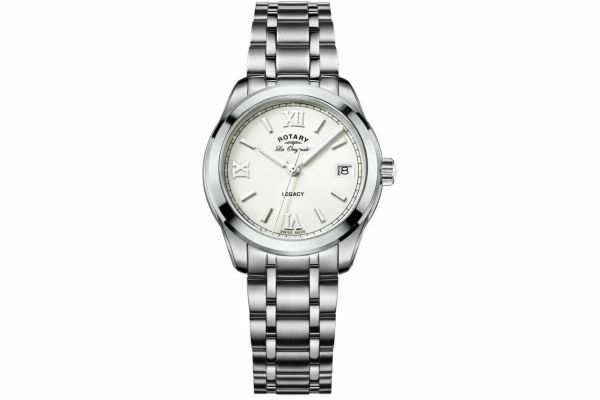 This stunning Swiss Made womens watch is part of Rotary's Legacy collection. The bracelet and case are stainless steel with beautiful champagne silver dial. The roman numerals, large hands and date function displayed at the 3 o'clock position make for easy reading. This watch is battery powered and comes with a 3 year guarantee with optional lifetime cover. For us to size your new Rotary Legacy watch as accurately as possible, please take a look at our downloadable Watch Sizing Guide.